Go casual in stunning solid wood at the Amish Tuscany Counter Height Table. Added height and a squared off style make this gathering table a centerpiece the family is sure to flock to. 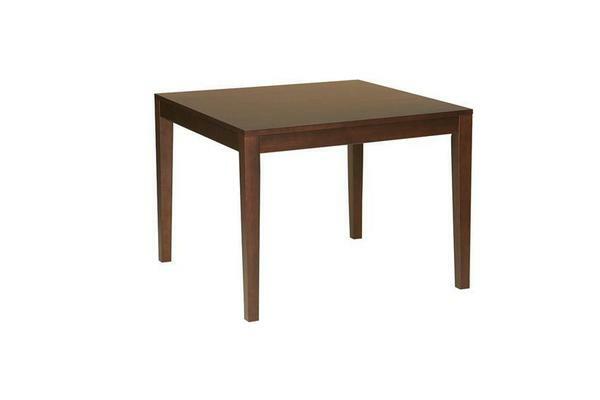 This table is made of solid wood and comes with several custom options to best fit your space with the look you want. The Tuscany comes with wood slides. Wood slides are ultra strong and supportive for adding table leaves and will never rust. This table is handcrafted by the Amish and it's covered by a 20-year limited warranty. Please contact an Amish Furniture Specialist today with any questions. Thank you for shopping DutchCrafters Amish Furniture. I don't have pictures yet but I wanted to tell you that I rec'd my furniture and it's totally beautiful!!! Everything matches! And the handles look fantastic!!! It all came out the perfect size also! I can't thank you enough for all of your help! I couldn't have done this without you! All 6 pieces are just awesome as are you! I just can't tell you how beautiful everything is tho and just how happy I am... the quality is amazing! I love it! Thank you again for everything... I will see if I can figure out how to take pics and email them to you!